You can execute and deliver on your projects flawlessly, but if you’re working on the wrong projects, none of that matters. Business alignment is the most important criteria for project selection. According to the most recent PMI survey, respondents believe that over 60% of their projects are not aligned with the business. If 60% of projects are deemed unaligned, it’s fair to conclude that up to 60% of project investments are wasted. Jump start your project success rates from the very beginning of a project's lifecycle. 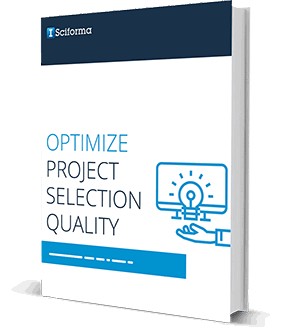 Align your project selection with business goals and requirements. Discover 3 steps you can start with right away in implementing a solution framework. Achieve an exciting vision for PMO leadership. I agree to receive emails from Sciforma on educational resources, events, product and service updates.